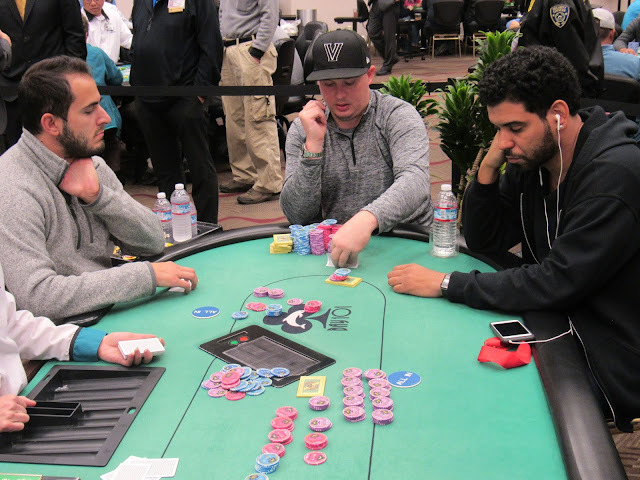 Brian Altman moved all in and was called by Paul Volpe before David Williams moved all in over the top. Paul eventually folded, and David's pocket kings led Brian's pocket tens. The board ran out a full house, but David's full house was best, sending Brian to the rail in 19th place. He will earn $30,590 for his efforts. The remaining 18 players are now redrawing for seats at the final three tables.